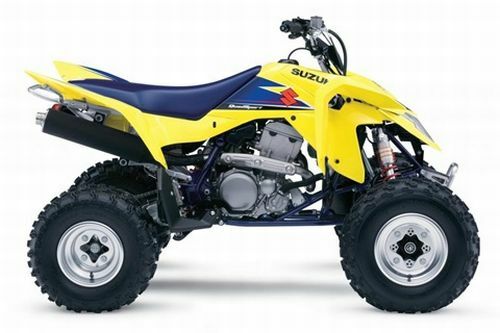 “A full featured sport ATV with race ready technology. You’ll know you’re on a muscular ride from the moment you thumb the KFX®450R’s electric starter. 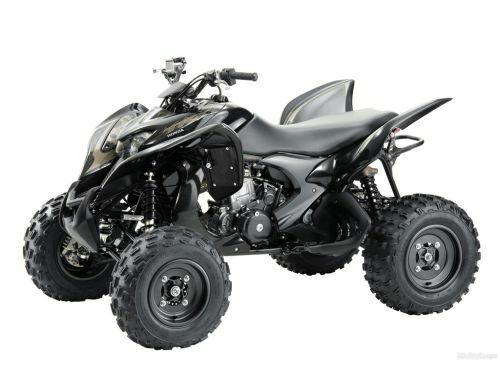 With its lightweight aluminum frame, long lower front A-arm suspension and a fully adjustable rear shock, this ATV offers track dominating handling and confidence-inspiring stability to compliment its powerful engine. Sharing engine DNA with the highly acclaimed KX™450F motocrosser, the KFX450R is ready to race. Equipped with titanium valves to keep reciprocating weight low, the engine is fitted with a highly responsive 32-bit digital fuel injection (DFI®) system that automatically compensates for temperature or altitude. DFI enhances the KFX450R’s ability to translate its four-stroke power into outstanding thrust, with easily accessible torque in the low- and medium-rpm ranges. 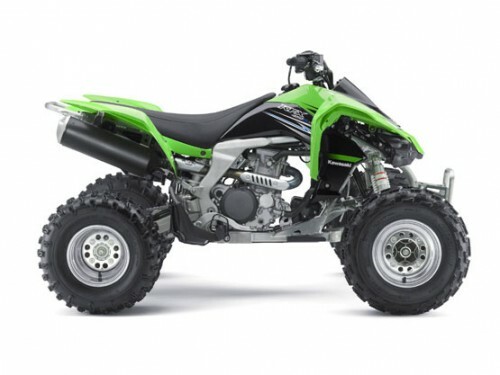 The fast and reliable KFX450R also includes a lightweight reverse gear system integrated with its five-speed manual transmission. The KFX450R’s reverse gear allows riders to quickly and easily extricate themselves from first turn chaos, trail bottlenecks or any other on-track incident, using the normal shift lever, plus a convenient handlebar mounted lock-out lever. Built to handle tough trail conditions and win races, the KFX450R’s lightweight all-aluminum frame has both incredible stiffness and significant strength. The high-tech chassis also provides a low center of gravity and excellent roll resistance for higher corner speeds and race-level handling. 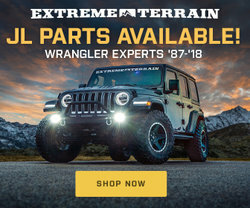 The front suspension design utilizes long lower A-arms mounted to a single box-section lower frame tube, paired with dual-rate front springs for excellent rough-terrain handling. In the rear, an adjustable shock with low- and high-speed compression and rebound damping adjustability is mated to a cast aluminum swingarm that offers the ideal balance of flexibility and rigidity. Regardless of track surfaces or conditions, this race-oriented chassis makes the KFX450R a potent weapon. The KFX450R is easy to work on, so owners can spend more time in the dirt than in the garage. The two-piece front and rear “lapped” fenders make it easier to customize the size of the fenders or quickly replace damaged sections. Even the headlight assembly is quickly detachable for closed-course races — this ATV looks just as aggressive with or without headlights. These features leave little doubt that the KFX450R was designed to be on the track and winning races as quickly as possible. Raptor 700R Special Edition includes wave-style rear brake disc, dealer-installed GYTR® front grab bar and heel guards, plus special graphics and colors. A 686cc Yamaha fuel-injected engine makes this the most powerful Yamaha sport ATV ever, with big torque right off idle, transitioning into a fat mid-range and monstrous top end. America’s best-selling sport ATV comes standard with a digital meter. Riders have plenty of information available at a glance, including speedometer, dual trip meters, odometer, clock and engine warning indicators, plus neutral and reverse indicators. Sport-tuned piggyback shocks provide long stroke for excellent sport-riding comfort, and are fully adjustable with convenient adjustment knobs to fine-tune the ride. 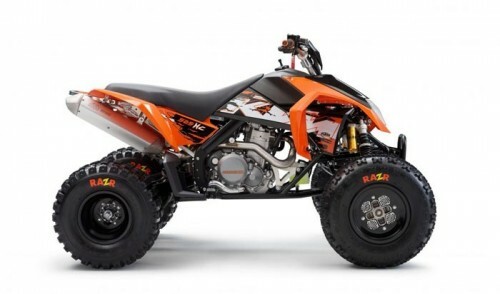 Hybrid steel and aluminum frame with a Controlled-Fill aluminum subframe and cast aluminum swingarm combine to produce a super-strong structure and the lightest ATV in its class. Aggressive styling reflects Raptor 700R’s intent, and YFZ-inspired handling means it walks the walk, too. Long-travel suspension—9.1 inches front, 10.1 rear—a cush seat and excellent ergonomics make the Raptor 700R comfortable to ride hard all day long. New inner rolled wheel’s reduce weight while maintaining strength. Born into superiority. This sentence applies to no other ATV better than to the 525 XC. The KTM Enduro flagship sets new standards in the cross-country sector. With extremely high performance and perfect handling, the 525 XC is the ideal candidate for demanding trails or dune adventures. 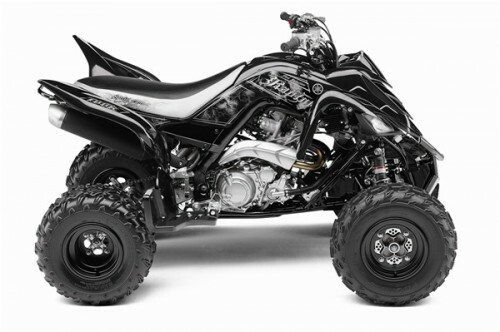 Brutal power and standard-fit racing equipment ensure that this ATV takes the lead in the favour of the quad fan from the start.